Asbestos is a dangerous material and exposure to it can cause serious health issues including mesothelioma cancer. Unfortunately, asbestos was used as a wide-spread construction material prior to 1980 to increase durability and fire resistance – a time when any health risk associated with the substance was unknown. Given that almost half of the schools built in the United States were built between 1950 and 1969, it’s likely that they too were constructed using asbestos. Most commonly found in ceiling tiles, floors, pipes in boiler rooms, or insulation materials, asbestos does not pose a risk if left intact and undisturbed. However, as soon as it’s disturbed, that’s when the damage occurs, exposing others to it, often unknowingly. Sadly, there are numerous reports of preventable asbestos-related incidents that are continuing to happen in our communities, including within our schools. For example, at West Haven High School in Connecticut, the installation of new cameras entailed unlicensed and untrained workers disturbing asbestos materials and unknowingly exposing teachers, staff, and students to it. 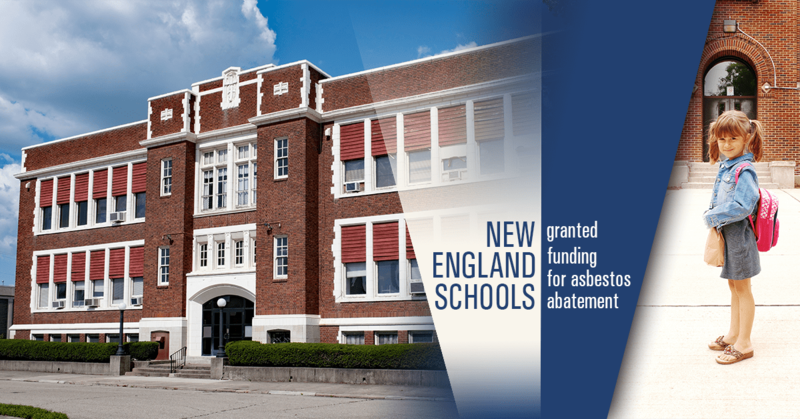 In addition to these unexpected incidents, it is important for schools to continue to work toward ridding their schools of asbestos for good. Research has shown that over time asbestos exposure becomes prevalent from damage, renovations, or demolitions. Under the Asbestos Hazard Emergency Response Act (AHERA), educational agencies are required to inspect their school building for asbestos-containing materials, develop a plan to manage it (updating it very three years and letting parents know when a new plan has been adopted), and take actions that help reduce and prevent asbestos hazards. 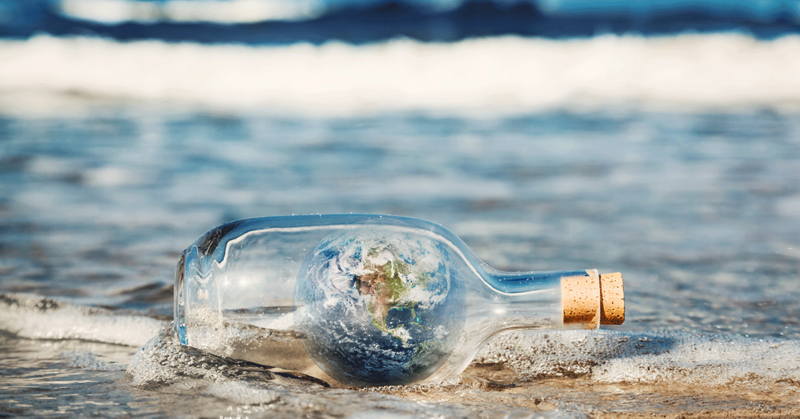 The U.S. Environmental Protection Agency (EPA) provides annual funding to help schools establish and carry out these plans. It also helps states maintain an asbestos accreditation and certification training program. When questioning if asbestos is suspected, don’t be afraid to ask for help. As an environmental services company and licensed asbestos contractor, we understand the intricacies that go along with taking steps to remediate and prevent asbestos hazards all too well. 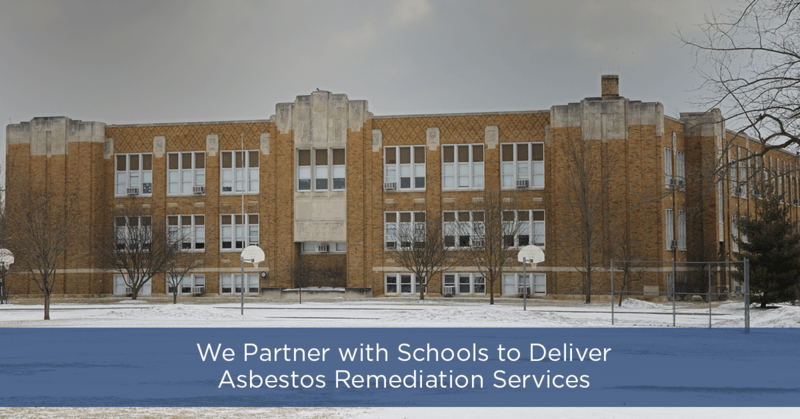 We have worked with many schools to help them execute their asbestos management plans, while maintaining a safe environment every step of the way. When is the best time to start an asbestos remediation project? How can we be certain the asbestos is 100% removed from the school? If you have a question for us, just ask! We work with organizations of every size and type, and are educated and current on local, state and federal mandates, licenses, and regulations. Our corporate and government clients can feel secure, knowing that our work will ensure a safe environment throughout the entire process, and upon completion be fully compliant with OSHA and EPA requirements. Banner Environmental Services provides service to Rhode Island, all of Massachusetts including Cape Cod, Martha’s Vineyard, and Nantucket. 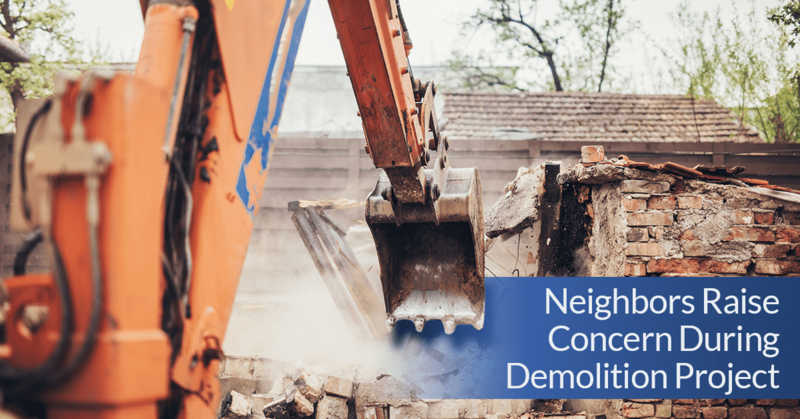 In addition to asbestos services, Banner Environmental services include interior and select demolition services, mold removal, and black and gray water clean-up.